For the average home user, this is not a big deal. But in a corporate environment headaches ensue. Why? 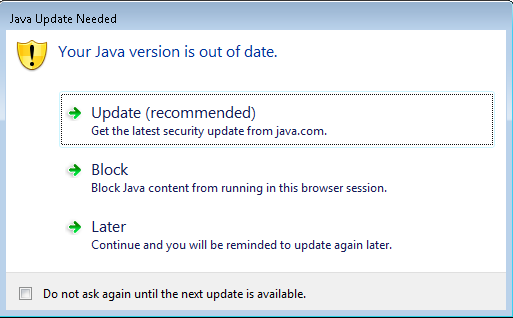 Because some users will blindly click on the Update button and be redirected to the Java download page for the latest release. 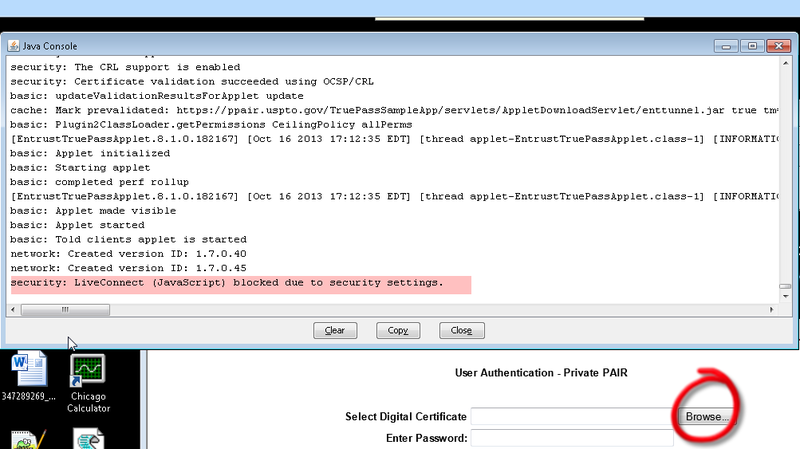 The first problem is that our users are not going to have the administrative privileges to update their Java client. But the real problem is that once a user has done this, they will be redirected to the Java download page each and every time they need to run a Java applet. So the question was, how do we get the prompt back so the user can select the appropriate Later option and Do not ask again until the next update is available? To restore the message prompt you need to delete the file and then clear the Java Cache (Java CPL > General > Settings > Delete Files). This will restore the deployment.properties values to the default and force the Java update prompt to re-appear. So, in short, with the latest release, our Java 7 Update 25 has expired and thus this security setting is being enforced, which is forcing us to move to medium security for Java applets (Java CPL > Security > Medium). See Deployment Configuration File and Properties for details on system-wide configuration settings to apply to everyone. This entry was posted on October 17, 2013 at 11:58 am	and is filed under Troubleshooting. Tagged: Java. You can follow any responses to this entry through the RSS 2.0 feed. You can leave a response, or trackback from your own site.